With a Pre- or Postconference Workshop! 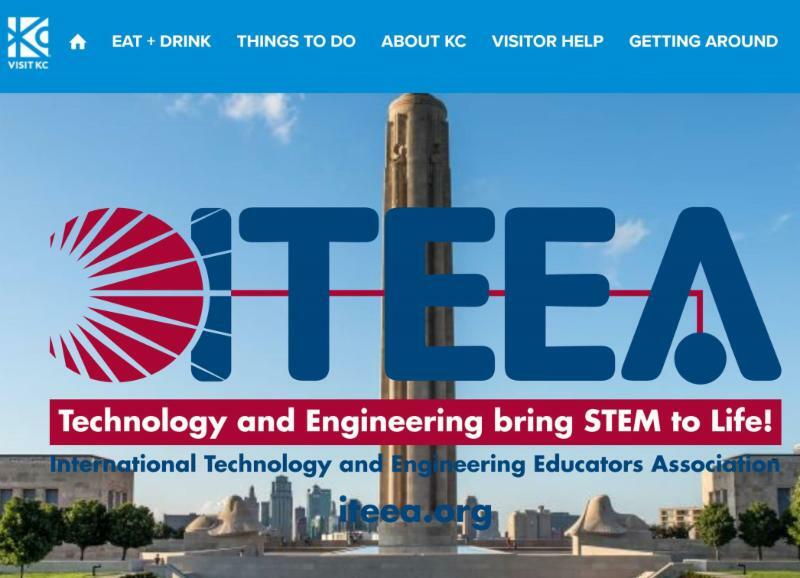 ITEEA is offering a variety of workshop opportunities for conference attendees. Take a look! This workshop will prepare teachers to effectively implement key strategies to improve students’ design-thinking skills within integrated STEM lessons. The session will feature an integrated STEM lesson linking biology, physics, and engineering design to 3D print fishing lures. Elements of the workshop will feature research findings and lessons developed through an NSF project. This workshop will prepare teachers to effectively implement key strategies to improve students’ design-thinking skills within integrated STEM lessons. Purdue faculty, Ivy Tech Community College, and graduate students will present approaches to improve students’ design skills while also addressing STL, NGSS, and 21st Century Skills. In this STL-based preconference session, participants will use the free software, Scratch, Makey-Makey, Pico Boards, sensors, and homemade devices to incorporate interactivity into real-world device programs. The key goal of this session is to demonstrate how each area—Science, Technology, Engineering, Art, and Mathematics—has applications using sensors and homemade device actuators with Scratch. The projects provide self-directed learning by experimenting with different sensors and switches. The integration of electronics enhances tactile experiences along with visual learning, addressing diverse learning styles. These activities should be appropriate for grade levels from upper elementary (4th-5th grades) through high school. The TEEMS PreK-6 program leverages technological design challenges in an environmental context as the focus for learning. Science and mathematics conceptual development is supported through deliberate and strategic integration of key content and skills. Spend four action-packed hours exploring an overview of EbD-TEEMS Building Blocks with EbD™ Workshops. Foundations of Technology prepares students to understand and apply technological concepts and processes that are the cornerstone for the high school technology program. Group and individual activities engage students in algebra, coding, creating ideas, developing innovations, and engineering practical solutions. Technology content, resources, and laboratory/classroom activities apply student applications of science, mathematics, and other school subjects in authentic situations. Intended for teachers of Grades 3-9 students, participants will get an overview of PowerTech Science and Technology Hands-On Creation Contest for Youth. National Taiwan Normal University faculty will share twenty years of experience in promoting PowerTech and then work with attendees to assemble a precut PowerTech model. The workshop will highlight educational values such as Integrative STEM, STEAM, hands-on learning, problem solving, and engineering innovation. Sign up today for a Pre- or Postconference Workshop to reserve your spot. Additional fees apply.